Sure, Formula 1 might have their name on the wrapper, but it's not the only show on Melbourne's streets this weekend. Round 2 of the Virgin Australia Supercars Championship will roar to life. Looking for some homework on what's happening? This will be the 22nd time the series has raced on the Australian Grand Prix schedule at Albert Park this weekend, but incredibly it's the first time they've raced here for points. Erebus Motorsport ace David Reynolds, who finished 2nd at the season opening Adelaide 500 told Triple M not as many noses will be out of joint. "Normally we rock up here and it's not worth anything and we drive real aggressive and we fire down the inside and do stupid stuff," he said. "But we'll probably be a bit more tamer this year because there's something on offer." Reynolds, who won Bathurst last year is looking forward to another crack at his "local" drag. "I live across the road so I've done a few laps around here... on a bike or on a footpath!" he cracked. You can listen to the Davey's full interview with Triple M Melbourne's JB and Billy on The Rush Hour below. Let's roll you through some juicy pointers for this weekend's racing. 1. Sure, it's the first time they've played for points at an Australian GP, but it's not the first Formula 1 Grand Prix the series has supported. The Championship raced at the Abu Dhabi Grand Prix in 2012 when Jamie Whincup won all three sprint races. 2. The Supercars have been part of the weekend programme in Melbourne ever year except for 2007. The first race was won by Ford driver Glenn Seton who edged the late great Peter Brock in what remains the closest finish in a Supercars race at Albert Park (just 0.184s). 3. Russell Ingall's won the most races at Albert Park with 8 but has three current drivers nipping at his heels. Mark Winterbottom, Shane van Gisbergen and Garth Tander each have seven wins under their belts. 4. 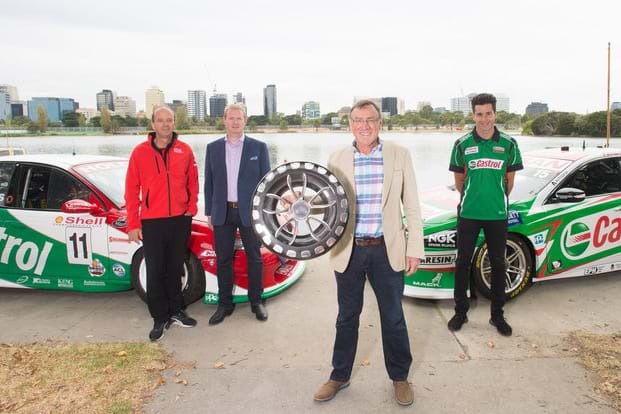 The winner of the Coates Hire Melbourne 400 will take home the Larry Perkins Trophy named in honour of the Supercars legend and ex-Formula 1 driver. Perkins raced in 11 Grands Prix in the '70s and was a regular in the local series until 2002. 5. There'll be some cake-cutting at Red Bull - Jamie Whincup makes his 200th round start while teammate Shane van Gisbergen racks up his 150th start in Supercars. 6. In case you were counting, Albert Park is the 33rd different venue to host a round of the Australian Touring Car Championship/Virgin Australia Supercars Championship. 7. Mobil 1 Boost Mobile Racing, who were known as Holden Racing Team in a previous life can boast the most successful record at Albert Park with 19 races won here, albeit the last in 2011. 8. Ford driver Fabian Coulthard clocked a new qualifying record at Albert Park last year with a 1:54.3972 and will be one to watch having finished in the top five in 18 of the last 22 races at the track. 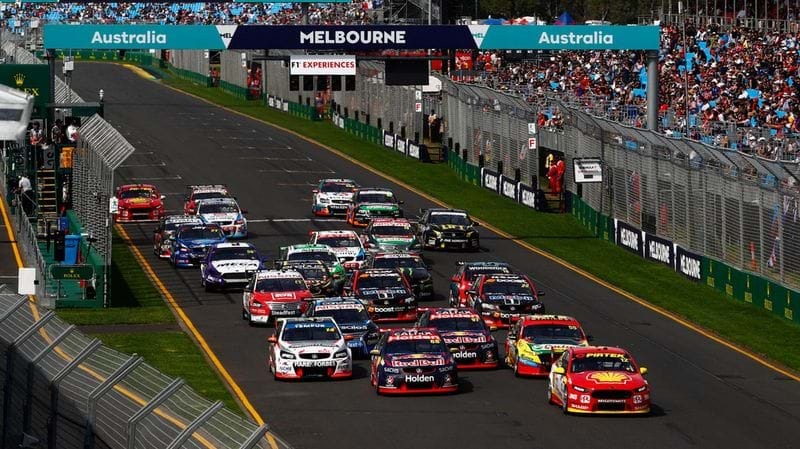 The Virgin Australia Supercars Championship will be telecast on TEN and Fox Sports.